Maybelline Lash Sensational Mascara - Review, Pics and a Benefit Dupe! I love mascaras- who doesn't!- but it's hard to find that mascara that ticks all your boxes, and the trying sometimes takes a toll. There are a few brands that consistently do mascaras well, and Maybelline is right up there with them. So when I heard Maybelline were bringing out a new mascara, I was ALL over it, because generally Maybelline mascaras are pretty dang good (we won't talk about that dreadful Rocket mascara). The Lash Sensational is their latest lash innovation. Now, with mascara, I look for two things. The first is a nice thick glossy black mascara formula that applies nicely, evenly, good and dark, and sets pretty quickly. The second essential is that mascara wand- enough to grab all your lashes to coat them with the said product and fan them out whilst delivering optimum volume or lengthening or curling powers. 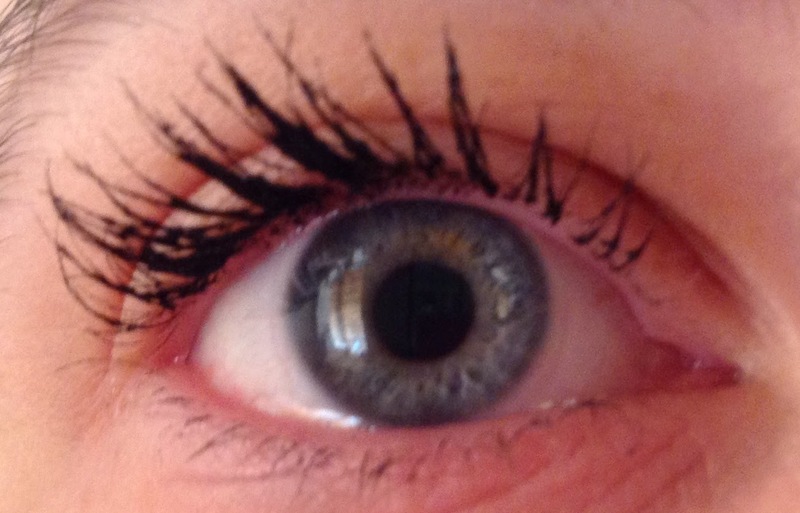 This mascara performs exceptionally well on both of these counts. Whilst I'm not sure that the mascara formula of Maybelline mascaras changes from one mascara to the next, that's ok, because the formula is always good. Why change a good thing? This wand definitely is unique due to the curved shape, the fact that the comb has two different sets of teeth on either side to provide a lash multiplying effect. The eagle eyed amongst you will notice that this wand appears to be completely similar to the much hyped Benefit Roller Lash wand (check out this post for pics) - and as I have tried both- I also can confirm that they perform similarly but I prefer the Maybelline version. This wand has THE powers to catch every single one of your lashes, deposit enough product on them to make them look thicker and the teeth on the comb part do just enough to fan out your lashes and provide a lengthening, curling effect. You can apply as many coats as your heart desires- for normal day to day use, I get away with the two coats- and this mascara performs well over the course of wear. No flaking, no smudging, no transfer to the brow bone, and it holds my lashes upright and doesn't cause them to droop, fall or lose their curl completely. This mascara is also a doddle to remove at the end of the day (I typically use an oil or balm cleanser, warm water and a soft facecloth) and furthermore, this mascara caused no irritation whatsoever to my sensitive eyes. I love using this mascara and I even think this might be my favourite Maybelline offering yet. Have you a favourite Maybelline mascara? Have you tried or are inclined to try the Lash Sensational? I just love Maybelline mascaras - I've never had a bad experience with them! I usually go for Falsies but I would definitely try this out, it looks great!